The 22nd was a very quiet, passing Long Nab (north unless stated) were 27 Fulmar, 1 Manx Shearwater, 1 Common Gull + 2 south, 138 Kittiwake + 4 south, 17 Sandwich Tern + 1 south, 12 Puffin + 1 south and 2 Swift. The 23rd was much more productive. The Osprey was seen at Wykeham South Lake while at Potter Brompton Carr (no general access) were2 Redshank, a Wood Sandpiper and the adult Whooper Swan. 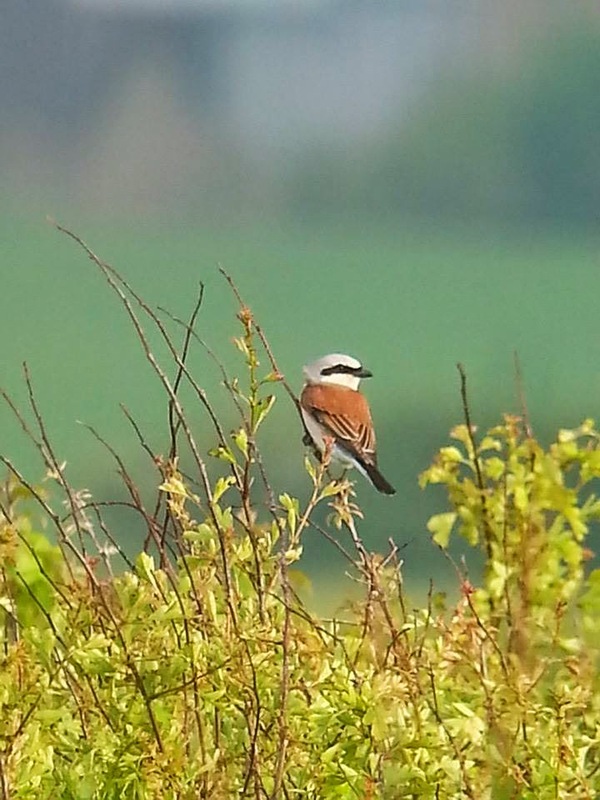 But it was along the coast where all the action was, firstly a Wood Warbler was found in Hundale at Long Nab which was shortly followed by a Red-backed Shrike at Cliff Top House at Long Nab where there was also a Spotted Flycatcher. Elsewhere a Dunlin and a Common Sandpiper were on Scalby Lodge Pond, 3 Grey Plover were in Jackson's Bay and a Wheatear was in North Bay. On the move (south unless stated) were 1 Ringed Plover north, 2 Sandwich Tern north, 4 Swift, 4 Sand Martin and 12 Swallow.